Gifts of appreciated stock to the Arden Craft Shop Museum, Inc. can help you to realize a significant tax savings and increased charitable deduction on that investment. It can also give you the satisfaction of knowing your investment is going to a worthy cause that is important to you. No matter what you originally paid for the stock, donating appreciated stock, that is at least one year old, to the Arden Craft Shop Museum, Inc. lets you avoid capital gains tax and deduct the full fair market value of the securities on the date of transfer from your income, if you itemize deductions. If you sold the stock and donated the proceeds, you would pay capital gains tax on the amount of the appreciation of the stock when it is sold. 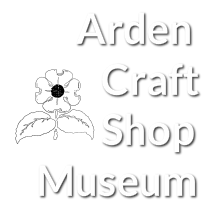 Donating appreciated stock to Arden Craft Shop Museum, Inc allows you to make a valuable gift that provides more benefit to us than it originally cost you.